7'5" x 6'4" x 34"
The Martinique® is spacious and contemporary, with a roomy lounge, generous jetting system and enhanced Foot Ridge®. Martinique is rated 4.7 out of 5 by 189. Rated 1 out of 5 by JohnG from Very efficient, yet enjoyable spa My electric bill went down compared to my prior spa, yet the motors are powerful enough for a soothing spa experience. It's easy to maintain and looks great on the patio. Very satisfied. Rated 4 out of 5 by Sorefeet from Great therapy I love the hot tub. I'm a little short for the lounge but I use it in other ways. The jets are great for my hips and back. I can find a jet somewhere for every ache. I like the new shape of the filter. It is easier to get in and out. The chemicals are fairly simple and the water has been stable. Rated 4 out of 5 by Ron from Spa review Great spa, nice contour of seats, strong jets. Have looked at over 6 different spa companies and decided on Caldera as the best product for the price. Caldera spa appear to be a better quality product. Rated 4 out of 5 by Htrigirl from Best training aid ever Bought the spa to help muscles after long training sessions for a ironman. Lolbut now I'm in it all the time!!! Love my spa!!! Rated 4 out of 5 by Les Ismoore from My second one After ten years we decided to upgrade to another Martinique, though there was nothing wrong with our 2004 model - it was still running strong (but for how much longer?). The energy savings was a key factor. Six months have passed with our new purchase. The glamor finish is already starting to check/craze from the little exposure to the sun and shows dirt easier compared to our old textured surface that didn't have these problems.. The waterfall is never used. The spinner jets are sluggish. We like the extra jets in the lounge seat. The Frog system has never been used, we use the "silver stick" plus clor and shock. It makes no sense, but I'm fiddling with the pH way more than the previous spa - this is too odd. The factory spa cover is loosing its color in a few spots. The control panel took some learning. We wish the second pump had a second speed. The service panel has a crack at one of the screws. If I were to configure the 2016 Martinque, it'd have a textured surface, no waterfall and both motors having 2 speeds with a simplified (more buttons) control panel. Rated 4 out of 5 by Rjknjk from Nice, comfortable spa Overall we are happy with this spa, which we chose to replace an older one that was no longer functional. The only annoying problem we have encountered is that the plastic jet covers keep coming off requiring us to get into the spa and retrieve them and re-attach each one. Not sure why the Caldera company couldn't have done a better design job. One would think that for the price we paid we would not have to constantly repair this spa. Rated 4 out of 5 by Achy back from Helps with aches and pains Much more comfortable than our last spa. Sure is nice to come home to. Rated 4 out of 5 by Deb79 from So relaxing We thought about purchasing a hot tub for a few years and we finally made the decision to purchase last year. After getting our Martinique we should have got it sooner. It is so relaxing after being in it we sleep so much better. I have neuropathy in my feet and it helps reduce the burning and tingling so I can rest so much better. If your thinking about purchasing a caldera spa I highly recommend it. Rated 4 out of 5 by Tub soaker from Martinique The Comfort would be excellent if I were a bit smaller, I am a very tall guy and this spa is good but not excellent for a tall person however being 6' 6" its hard to find something that is designed for us tall folks. The quality is great have had no problems with this sap, ease of water care is a weekly 5 -10 minute chore but easier than most, energy is great we have seen only a slight increase ($5) over the summer this winter will be the first. Overall very happy with the tub, and I'm one of those guys whose always skeptical of reviews, but all in all I would recommend this tub to anyone. Rated 4 out of 5 by Diane8 from Overall a good buy This is the second spa we have owned with our first one being many years ago. We had struggled in the past with keeping the water chemicals balanced. The Spa Frog system certainly makes it easier, but we still find that we are always working to get everything in the proper ranges. Besides that the spa is comfortable and we feel we made a good choice with our Caldera Martinque spa. Rated 4 out of 5 by Annette63 from One concern Overall, this spa has been really good. The shell has cracked twice in less than a year. Waiting on a second replacement to come in. Rated 4 out of 5 by couchsitta from So far so good We've had our Martinique for 6 months now and are very happy with it. It fits our family of four (two adults & two kids) very well. The kids love the waterfall. I'm very happy with the performance of the jets, and maintaining the spa has been pretty easy. One addition that drew me to the Martinique was the foot ridge. You can crank the jets all the way on and lean right back into them thanks to that ridge. I'm happy to report that our first 6 months have gone very well! Rated 4 out of 5 by Reid Fleming from Martinique Great spa! I love it. I recommend it to anyone needing this size spa. Rated 4 out of 5 by MaryV from Nice hot tub Great spa, jets are very therapeutic, my husband loves it! It has great pressure. Only problem is I am petite in size and seats are low, but it is still great. Rated 4 out of 5 by DandDH2334 from Good choie for our hot tub. We love it! Easy to care for, nice design, comfortable seats. Great for parties or just the two of us. Rated 4 out of 5 by John West from Martinique - a year out The Martinique has good seating, but seems a little shallow depth wise. The controls (esp with the add-on wireless stereo) are very confusing. I would be interested in a more logical layout of the buttons and flow of the config parameters. Most folks cant figure it out. A thermal set-back might be a good idea, as its been left at higher temp for days, when no one was using it. Should it fall back to economy setting after 5 hours? A wireless control for smart phone would be a good add-on. Rated 4 out of 5 by Dolphin Dance from Support The spa is fine, the problem is customer support. When the spa was delivered it was dropped, which caused a leak. Caldera replaced the spa, but it was a battle. The sales people where I bought the spa didn't know much about water chemistry. Caldera's customer support people told me things that turned out to be wrong. At one time Caldera support told me they would send me a free filter for my trouble. It never happened. The best support I got came from Bio Guard. It's a good spa, but you are pretty much on your own learning how to use it. Rated 3 out of 5 by Bob G from Martinique We owned another brand of spa previously. Our main concerns with the Martinique spa is that even though it is a 34 inch model, the water depth and seat design does not make it comfortable for a 4'11" adult and would not recommend the spa if anyone in the family is under 5'2". Our second concern is the difficulty of getting into the spa and moving around from seat to seat. There doesn't seem to be any areas in the spa where you can obtain level footing. As senior citizens footing stability is a key concern. I would prefer if the owners manual was written for this specific model instead of leaving it to me to determine what features apply to the Martinique. Rated 3 out of 5 by Bill from Spa Power Issues We purchased a Martinique 17 months ago and have experienced recurring problems with the spa failing to restart after we change the water. The electronic control unit was replaced due to visible water condensation under the screen. We thought this would clear up the problems with the spa failing to restart after we changed the water. While we do not see any condensation in the control unit we experienced a failure to restart after a water change. The spa did restart and ran for a few minutes and then automatically shut off due to an electrical issue. We were able to restart the spa but it shut off again and we can't get it to restart. The GCFI circuit will not stay on. This issue only occurs after a water change. The unit has had this problem since it was installed. We have always tuned the power off at the circuit switch when we change the water. In the past it has taken several restarts to get it up and running but this time it has failed completely to restart. When it is working we love our spa. Strong jets and it is very easy to control the strength of the massage jets. Another issue we have concerns the spa cover Lift n' Glide frame. It is the std unit that is installed by the dealer and one side of the unit has 6 attachment screws the secure the frame to the tub. 5 of the 6 screws do not anchor into anything other than the exterior panels. There is only one screw that appears to be anchored into the frame. The other 5 screws constantly work their way loose and they do not hold the frame onto the tub. This is another upcoming point of failure with his unit. There apparently is nothing behind the exterior panels to secure the Lift n' Glide cover unit to. Rated 3 out of 5 by Skip from My Spa The Martinique is a beautiful Spa that is comfortable once you have entered the Spa. Entry and exit is somewhat precarious as their is no totally flat area to accommodate a safe entry/exit. Jets are plentiful, well positioned and work well with only one area that could use improvement. The area where the legs are positioned when seated in the lounge has sharp edges in the center of the jet openings which caused a guest knee to be cut when they were trying to exit the spa. The small stationary jets have sharp plastic tubes that scraped the skin right off of my guests knee. The exposed edge of these jet tubes need to be rounded off to avoid such an injury. Rated 3 out of 5 by DonFCom from Nice Tub, but... Like everything about it except half of the rotating jets stopped spinning after only 6 weeks. I use a test strip every day and water quality never wavered. I soaked them overnight in vinegar anyway - but that made no difference. Disappointing after spending over $8K! Rated 2 out of 5 by StanC from Decent spa design with poor customer service The design is good and ownership should be a pleasant experience. Unfortunately, dealer service is terrible and problems are unsupported by Watkins Manufacturing. Our Martinique failed to hold water after 10 months of service because of a bad valve. Watkins refused to pay to have the unit craned out and back, a $1,200 expense, plus electrical wiring costs. It was at the dealer for over 2 months and was returned filthy. They did pay for the replacement part and installation, which was an upgraded value design, suggesting they knew there was a problem. Now the local dealer is no longer a representative and there is no authorized service. Just short of two years in service, the coatings on the headrests began to disintegrate. Customer service suggested I get replacements from a spa parts supplier, as they do not deal with the public. Buyer beware. Rated 2 out of 5 by Donald from Too many issues after only 1.5 years I enjoy my spa and do more then the necessary maintenance on it, yet of late there's been far too many issues. After only 6 months I had to replace the back panel due to a crack. Last winter the spa wasn't keeping its temperature. Just 1 month ago, the front panel had a crack and the part is on order. Now, while I'm waiting for a front panel replacement, 2 of the 4 speakers are no longer working. The panels are under warranty but the warranty on the speakers was for 1 year only, therefore it will cost me to fix them. I've referred about 5 friends since buying the spa yet based on my recent experiences, I think I will no longer. Rated 1 out of 5 by Girdwood Frustration from Lemon of a hot tub We purchased our Martinique in September 2016. We picked colors and options and were excited for the addition for winter fun. The tub was installed in November 2016. After a few uneventful months our swanky 10k plus investment has turned into a stressful pain. Breakers mysteriously trip, both the 30 amp and/or the 20 amp. Only to come back and find a water temp in the 70’s. And jet rings randomly pop off, which in an older tub would be much more acceptable. The tub is not even a year old. I have spent countless hours driving back and forth to troubleshoot or wait on the non-arriving techs, who admit they don’t know why this is happening. At this point my frustration level is just about 104. Rated 1 out of 5 by MrK from Nothing But Trouble Had a Calder hot tube for 10 years with almost no issues. Sold it and purchased a new Martinique and have had nothing but problem after problem. Looking to sell and live without the headaches. Rated 1 out of 5 by Mel from 2015 Martinique I researched getting a hot tub for 2 years before making my purchase. I felt like I was making a great choice with the Martinique. Unfortunately I have had nothing but problems with the tub. I have owned it for 2 months and it has had to be drained twice already. There are white particles in the tub that no one seems to be able to help with. I started with problems with the water. They told me I needed a restrictor added so they drained it, flushed it and added it. Then the issue with the particles has taken over. We cannot even use this tub. The particles get all over everything! I am very disappointed. I really wanted to love this hot tub! Any suggestions would be appreciated! Rated 5 out of 5 by good from great purchase we have enjoyed this hot tub better than any other brand we have ever had. Would highly recommend to friends and family. Rated 5 out of 5 by Jimbo from Martinique Review Very please with this spa. Our previous spa we had for 25 years and cannot believe the technological advancements and quality of this new spa.I did a lot of research prior to our purchase and now realize I made a great choice. I strongly recommend Caldera Spas. Rated 5 out of 5 by Jade from Martinque spa I purchased this spa approximately a year ago. It provides much needed relief for sore muscles after a long day at work or the gym. I"m truly enjoying it. Rated 5 out of 5 by Oscar from Very happy with our choice This is our second tub and really enjoy it in the winter. Our family has grown and moved on so it's just the two of us, and very easy to take care of. Rated 5 out of 5 by mamachicklet from Worth the cost This is the second spa I have owned, and I couldn't be more pleased with it. Very easy to drain and clean. I love the changing lights,and the waterfall is a great effect. Comfy seating,and good jet placement. Would definitely recommend. Rated 5 out of 5 by craig0130 from Fantastic hot tub Easy to use always ready chemical are a breeze absolutely love it!!!!! Rated 5 out of 5 by Larry from Caldera is Best Spa While I have owned a Caldera spa previously which is why I bought another one, this spa is the best I have ever been in (dozens) or owned (3). Rated 5 out of 5 by Northern CA from The Best Spa ever - Martinique We purchased the same spa in 2004. We moved and liked it so much we bought a new one for our new house...Just love it! Rated 5 out of 5 by DoriC61 from My Caldera Spa is my Island Retreat I have been enjoying my Caldera Spa for just about one year now. There are so many different configurations for running the jets and moving about in the Spa. It's sculptured shape is very welcoming and inviting for a very relaxing time. Rated 5 out of 5 by pollet33 from Fantastic, great service and super quality product Best investment in our health I have ever made. everyone wants time in it. see a lot more of the kids and grandchildren then ever. added and 12 by 20 ft room on the house and closed it in just for the spa. Rated 5 out of 5 by Lobsta147 from Wish I purchased this years ago!! Best thing I purchase for myself and my family! We have so much enjoyment from our hot tub. To having hot tub parties, time with each other and just relaxing by myself. LOVE, LOVE it!! Rated 5 out of 5 by Rogue Valley Spa Lover from relax everyday anytime in your own backyard oasis My caldera martinique spa is the best purchase I have made. When I think of how long I suffered following an accident this hot tub is the most theraputic and relaxing comfort I enjoy everyday. I am one of those people who researches thoroughly before buying and for value and outstanding quality you cannot go wrong with a caldera. I love mine and would highly recommend any of their spas. Rated 5 out of 5 by mamachicklet1 from Total Relaxation As a spa owner for the past 17 years I really enjoy the time my family and I spend relaxing in our tub.My 12 year old son especially enjoys it, and I'm still cool enough to be allowed to get in with him! The only complaint I would have was that my old tub had a red light that would blink or go out completely if there was a problem. I was in the habit of glancing out at the tub every night just to make sure it was working properly. We sometimes don't use the tub for days in a row, and I found the light useful ,especially in the winter since I didn't have to go outside to check it. Other than that small thing we LOVE our Caldera Spa. Rated 5 out of 5 by camping_diva from Fibromyalgia Pain Really eases pain and stress of fibromyalgia. we use it several times a week,especially in colder weather. I can't imagine not being able to use my spa. It literally changed my life. Rated 5 out of 5 by Yakman from Just What The Psychiatrist Ordered... The lounger is a little on the short side, but then, I'm 6' 4". Jet adjustment is a VERY nice touch. I like jets, my wife likes gentle waters. Maintenance is extremely easy. Rated 5 out of 5 by Greatfull Today from Comfort Well worth the money and very easy to keep clean and the store owners where always very helpful if i had any questions. Rated 5 out of 5 by Bbqchop from Very satisfied I was never a big spa fan but my wife has Rheumatoid Arthritis and I really bought it for her. She absolutely loves it. I have found that I would go out just to relax the muscles for a few minutes and an hour later I was crawling out of the tub. One key feature is it is very easy to get in and out of. Some spas are so deep that they are almost impossible to scale. I never even noticed my electric bills go up after the installation. Overall, a great purchase. Rated 5 out of 5 by North Carolina Mountain Man from Energy Efficiency of Martinique Before buying a spa, I was particularily concerned about energy costs. This spa was being located at a mountain cabin, with relatively cold winter temperatures frequently in the teens overnight from November - March. During much of this time, the spa (and cabin) are unused. This past winter, we found that the Martinique uses very little energy to maintain it's low setting of 80 when not used. I would estimate less that 50 cents/day, with the average daytime temperature of 25-30 degrees outside. As a engineer, I can say I am particularily impressed with the efficiency of Caldera. In fact, as I write this, I'm at the cabin. Come to think of it, time to hit the tub! Rated 5 out of 5 by GAF from Quality Spa at the way!!!!!!!!!!!!!!! Very easy to maintain, also very energy efficient. Definitely a quality SPA. Rated 4 out of 5 by MarklSparkleFarkle from Martinique Hot Tub - First 6 months Once we learned the easy steps (which at first seemed very complicated) to maintaining water quality, we found everything quite easy. Enjoying daily soaks now! Rated 4 out of 5 by tom&deb from Las Palmas Caldera Spa This is our first in home spa purchase since 1980! Wow what a great surprise when we started the buying process. Technology has imploded home spa options. First, encounter the sales staff at various retail outlets, visually see and place our hands on the product! Spacing was limited and we quickly learned the smaller unit we started looking for would likely not satisfy our desires. The Martinique was a step up from our original direction and worth the extra time and effort. Rated 4 out of 5 by Kowalski16 from Love all the jets My father in-law purchased this as a gift for us. He shopped around looking at different brands looking for quality of jets, comfort, seating arrangements, ease of care and energy efficient as this was the one factor my husband was most concerned about. The Bull Frogs had great ratings in energy consumption, but our dealer said this one would be just as good. We just got our first full month and had an increase of $70 and we haven't hit our coldest months yet. My husband is not happy at all. If not for the huge increase in our power bill this would be the perfect spa. Rated 4 out of 5 by Shawn from Great spa and great service The dealer was awesome! Arrived on time with lots of help, explained everything, and we're done quickly. Spa has had zero issues, works great, and has been very enjoyable. Rated 4 out of 5 by Remoldeler from Three Rivers Very good looking and comfortable Spa. Nice cover and great out siding, easy to care for. I would recommend the Caldera Spa. Rated 4 out of 5 by Bev418 from Love the tub not the sanitizer Love the tub and design. The maintainence of the exterior is so much easier then our old tub. It looks great too. My only struggle is the "Frog" automatic spa care. I developed a mold on this system. Very frustrating. After 15 years and no issue with Baqua system. So after several tries with "Frog" , I went back to Baqua. We love the spa! Rated 4 out of 5 by rwm(97s from Good value Overall satisfied. There is a learning curve for keeping the water clear and balanced. Be sure to have a good pool store available for testing and advice. A spa cover with a lift is a must. We actually use it quite a lot during the summer. 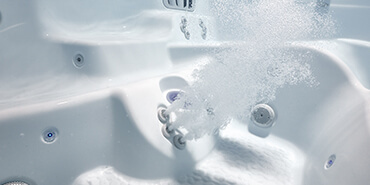 Rated 4 out of 5 by Manuel from Bluetooth Speakers The only thing wrong with this spa is that the bluetooth speakers that are installed INSIDE the tub get muffled when there are more than 2 people in the tub and the water level rises. My suggestion would be to put speakers up higher or on top of the edges of the tub instead of inside. Rated 5 out of 5 by weave0 from Love our spa We purchased our Caldera spa last December for our anniversary. We have had so much enjoyment from it over the past several months. Sitting in it under a starry sky watching planes fly over is incredible. The warm massage is just what my husband and I need after standing on our feet all day. Maintenance has been simple. We had an issue right after we purchased that Caldera took care of quickly. We are looking forward to many more years in our spa. I'm already looking forward to sitting in our spa this winter while the snow falls. Rated 5 out of 5 by Captain Carol from Captain Carol's Comments Great therapeutic tub!! Jets for upper back, lower back plus plenty of room to stretch & move. I'm a very active person & need to keep muscular system supple. Relaxing in my Martinique is a great reward for me after a hard day of fishing, working in my ice cream shop or hiking the mountains of Alaska!! Would I buy another one if I had to make the purchase choice again? Yes!!! Rated 5 out of 5 by Tim from Best thing we ever did We just love our tub. This is something we should have done years ago. Rated 5 out of 5 by SpaTime from Perfect Spa Awesome spa, perfect size. Most important feature of any spa is control of the jets and pumps, to the benefit of the number of people in it. No need to waste the power of either if there's nobody positioned to enjoy it, or to not be able to direct it to the one trying to enjoy. This spa is totally controllable, and every seat focuses on a different part of your body, with no waste of power. The circuit therapy is the real deal. Lights and waterfall are awesome. FROG system isn't really necessary, but does work well. Can't go wrong with this one!! Rated 5 out of 5 by Mike62 from More help and enjoyment than expected My Caldera spa has been very beneficial in the recovery from my wife's hip replacement. She has been able to help the circulation around the new hip with minimal effort. I have had a knee replacement and the spa has been so helpful doing exercises to speed the recovery along with my knee. The enjoyment of using this spa year around has been more than I could have hoped for. The seating and jet placement makes every seat special and enjoyable. Will not be without a spa in the future. Rated 5 out of 5 by tnelson from Love it Our family loves our hot tub use it almost every night! Rated 5 out of 5 by Sopris from Love my new spa I have had spas for the past 30 years. This is the bear one yet. Great jetting and control system. Rated 5 out of 5 by Jimbo from Great Spa!! First new spa in 20 years. This is great quality and great technology. We have had it about 2 years with no issues or problems. Strongly recommend Caldera Spas. Rated 5 out of 5 by Outdoor spa from Very happy Great quality. Outdoors and takes more electricity than expected despite recommended cover. Would buy again. Rated 5 out of 5 by pwdrskyr from Quality of Life Slipping into this spa is heaven. Solid construction, nice features and easy to operate and maintain. Rated 5 out of 5 by Freddy from My Spa So much better than the old piece of junk I had before. This 340 gallon spa does every part of your body including feet. It's not a party spa where everyone sits in it for a couple of hours and talks. This is for physical therapy and when your body feels good so does your mind. My electric bill went up $12 for the month. It use to cost about one dollar a day. Rated 5 out of 5 by Cabdiva from GREAT first time spa!!! This is our first spa and it's great!! We use it nearly every day and sometimes two times or more a day and we love it!!! Rated 5 out of 5 by Slick from Fun city My wife and I looked at spas for several months and after several test drives we found the Martinique was the best value concerning size and settings. I love checking out all the positions and my wife loves just sitting in a couple of spots. We have the spa in a sun room so it stays clean and we have privacy. The controls were at first a little hard to navigate, but after reading the instructions and practice the controls are easy to use. We settled with using Bromine as a preference. We did not want our skin to feel wrinkled and dry and smell like chlorine. Also, chlorine fades out clothing and breakes down the material. The frog system is easy to use and the filter is easy to clean. I clean the filter every time I change out the bromine cartridge and change the water every 6 months since we use it only 2 to 3 times a week and the spa is in an enclosed room. I found out the hard way, to check the spa water at least twice a week to make sure the sanitizer levels are at the right levels. We bought the ozinator for this spa, since the Martinique does not include the product. It is well worth the extra money. In addition, if the spa room was a little bigger we would have went for the Tahitian. We tried that spa out and is one step up and what a ride. Has so much room and all the jets needed including a jet in the middle that acts like a volcano. Kids would really like that spa too. The Martinique provides all the room to move around without having others move all the time. Best massage ever. Rated 5 out of 5 by Cubby from Great spa My wife and I use our spa almost daily. This is the third spa we have owned, and the best. It is comfortable and has an abundance of jets and adjustments. The thing I really appreciate is the ease of maintenance. The filter is readily accessible for regular cleaning, and balancing the water chemicals is easy. We would recommend a Caldera Spa to anyone. Rated 5 out of 5 by LeRoy & Karon from Experience The Ride Of A Lifetime A little heaven here on earth. After six weeks of research, I came to the conclusion that as a minimum, the following items were necessary and advantageous to have in our hot tub: 240 volts capability, separate circulating pump, adequate quality jets per seat, ozonator system, waterfall feature, and some LED lighting. Finding these requirements in a quality built SPA for a fair and equitable price including some nice accessories was a challenge. Although my Wife and I have been enjoying our SPA for only one month, we are so happy and satisfied with our decision to settle on a CALDERA, Paradise, Martinique Hot Tub. We purchased our hot tub from the SPA Warehouse in Seattle who was both professional and cordial, and provided great service and delivery. My Wife and I enjoy the hot tub tremendously in the mornings but particularly late evenings with the lighting. My back problems along with severe arthritis are relieved considerably. This hot tub is a wonderful investment, can structurally endure moving if needed, and will remain with us wherever we may live. We absolutely recommend "CALDERA" hot ubs. Rated 5 out of 5 by RLL101 from Best purchase ever I love my Caldera Spa. My only regret is that we did not get it sooner!! Rated 5 out of 5 by cardman from Therapy for the body My experience with owning my second Hot tub ( this time I definitely will call it a spa) has been spectacular. I am borderline diabetic and before the spa my feet were so sensitive. Circulation in my feet has improved so much. I have often said that the price I paid is worth it just for the relief of my feet. I usually soak 2x a day, morning and night. Loosens me up for the day after a stretch and relaxes me before bed. My Spa is absolutely a great purchase for me and my family. Rated 5 out of 5 by Pecos from Finally it took us 14 years to replace an old broken spa and we are glad we did! Received our spa in December and the only evenings we don't spend in the spa are when it's raining or snowing. The most relaxing hour of my day. Rated 5 out of 5 by Tito from Great hot tub Owned this model for almost 2 years and have no complaints. Keeping the water and filter clean is very simple. The different seating positions provide great massage for the different parts of your body. The diverter valve and different power settings of the jets allow you to have no jets on, partial jets, or all jets for a powerful deep massaging. The foot massagers are wonderful. Rated 5 out of 5 by Markcomfort from Great Caldera Martinique The quality and comfort are first rate; so much better than my previous hot tub that there is no comparison. The best part is that it is the easiest I have ever seen to maintain and keep clean. The water is sparkling clear. Rated 5 out of 5 by pitonview from Love this Spa Super deal, has been easy to care for and came through a tough NY winter just fine! Use it a lot and love it, Best thing just before bed. Sleep so much better! Rated 5 out of 5 by Vtakita from Love it! We sure do enjoy our Spa, have a bit of a challenge with the inline sanitation system, but we just use the floating Frog system and it's fine. We use ours nearly every night! Rated 5 out of 5 by jb from We were not disappointed We have had our spa for about 7 months we use it 5 days a week !! We love it. Rated 5 out of 5 by PeoriaPeople2 from Love it.....we use in all weather conditions We love the Martinique and use it much more than I would have imagined. It is awesome. Rated 5 out of 5 by Dan from Excellent first or 5th tub! We purchased a Martinique Spa. There is something in this smaller tub for everyone. One position works the upper back, another works the lower back, 2 positions feature an upright seat that isn't designed to target specific areas and the lounge chair works everything and is sent from Heaven. We've had our tub for 8 months now. I've been very impressed with the ease of operation and maintenance, energy efficiency and overall quality. We love this tub. Our sons are 14 and 16 and we couldn't have spent money more wisely - the tub gives us excellent family time - we enjoy the tub and talk the whole time. I should have bought a Caldera Spa years ago! Rated 5 out of 5 by Twohats from Thumps Up!! Caldera Martinique We shopped around and looked at many differnet brands.But then we found Caldera and heard all the grear things about them. The Martinique was the perfect solution to the space we had available. It also had all the options we needed. We have had it for a year and are very pleased with the performance of our spa. The dealer was extremely helpful and very knowledgeable about spas. If and when we are ready for a new spa, it will definitely be a Caldera. Rated 5 out of 5 by Phil25 from First spa purchase When we made the decision to replace our deck we decided to enlarge it and include a Spa. After viewing several makes and models we selected the Caldera Martinique Spa. My wife and I have enjoyed using the Spa and like the easy maintenance. Rated 5 out of 5 by REtired2 from Outdoor oasis The spa has become an outdoor oasis for our retirement years. In any weather, we enjoy relaxing in its warmth. Rated 5 out of 5 by mamachicklet1 from Second hot tub I owned my first hot tub which was not a Caldera for 17 years. When I decided to purchase a new tub I was disappointed that their company no longer carried the size I needed to fit in my space. I was reluctant purchasing from another company,but I have nothing but praise for my Caldera spa. It is easy to lift the lid by myself,convenient to drain and refill,and I have never had a problem keeping the water crystal clear. Rated 5 out of 5 by Riversidety14 from Great experience Everything about the experience of this tub it wonderful. It is difficult to keep the water perfectly clear, but I think all hot tubs are like that. I would recommend this mode to anyone wanting 4 or less people in a tub. I think 5 people would be tight. Rated 5 out of 5 by Godzilla from My Martinique Over the years we have had several Hot Tubs. We had the same brand tub at our previous home which always performed very well. When we went to the showroom, we knew that we would like the same brand again and purchased it immediately. We are very pleased with our purchase. Rated 5 out of 5 by GJ from Great Spa Had a problem with the ozone but it was replaced with a Hot Springs spa ozanator and now fine. Rated 5 out of 5 by Steve58 from Martinique Great tub. Easy to set up and maintain water quality. Would highly recommend this tub. Have had it for over two years and no problems at all. Rated 5 out of 5 by Retired Couple from Best Spa We Have Owned We replaced an H&H spa with the Caldera. This spa is well built with all the best features. Ease of use and maintenance is outstanding. Great value from our local Caldera dealer. Rated 5 out of 5 by Bill36 from Martinique is a great choice I've had my Martinique for about 2 years and love it. The only problem has been keeping my i-pod sync'd with the blue tooth sound system It sometimes doesn't work unless I turn off the breaker and re-set the system. Everything else works great. Rated 5 out of 5 by Petey from 1st tub is a good one Shopped around and paid a bit more for my Caldera Martinique. Very happy and enjoying the comfort and quality. Rated 5 out of 5 by Mandy from Very Nice Hottub Our Martinique is easy to step into and I love the choice of seats that massages every muscle. It fits the three of us perfectly. Rated 5 out of 5 by Bthotu from Love it! This is my first hot tub and I love it! It comfortably seats 3 to 4 people and has 5 real seats that can still be used with no inconvenience. The jets are pretty powerful and there are some for your feet, upper and lower back, as well as a nice lounger. It has a neat lighting system and a water fountain which add a little glamour to it and kids love the fountain. It's easy to maintain, I just but a scoop of chemical in each week and change the frog cartridges every so often and it stays nice. Every so often I drain it and clean the filter... Fairly simple process. I think this was a great purchase and I do not regret it one bit! The non-square size of this tub also allowed for better placement on my deck. Only things I could say need improvement are more places to set drinks.. It has 2 small indentions for drinks but they could probably but a few more... That's just me being picky! Rated 5 out of 5 by Ifd from Great value This is our second Caldera Spa, and the Martinique lives up to its reputation as a great value. Easy to maintain and very quiet running---a plus since we have it inside in our sun room. Rated 5 out of 5 by Otye from The perfect spa! We love this model which is the perfect size for a couple. It's not too large and not too small. The different seats provide a variety of massages for whatever ails you. We love it year-round. Rated 5 out of 5 by Captain Carol from Martinique great in Alaska I've had my Martinique for a year now. I use it almost daily year round -- winter & summer. It's quiet, comfortable, easy to maintain and very enjoyable. In addition it has a very nice appearance. Rated 5 out of 5 by scooter from Perfect fit We have never owned a spa and could not have made a better choice. Our local dealer was so very helpful and provided excellent customer service. Rated 5 out of 5 by 2forTX from Still using our spa several times a week after more than a year My husband and I both use our spa year round - keeping the temps warm in the winter and a little more "room" temp throughout our warm Texas summers. Whether a vigorous session is wanted after sports and working in the yard, or a more relaxing dip in the morning to loosen up and start the day peacefully, we love our Caldera spa. Rated 5 out of 5 by Livelife from Great for arthritis! I have many medical issues and went to Water By Design in Christiansburg, Va. Paul, the owner, was great, he took the time with me showed me the different models and I decided on the Martinque! This is a great therapeutic tub! Rated 5 out of 5 by Sarah from Relaxation We have our spa just under a month and love it. It is so relaxing and very easy to use. Has helped us with our aches and pain. Great size and a beauty to look at. Highly recommend. Rated 5 out of 5 by Edlil from We love our spa We love our spa and using it everyday. It is very relaxing and easy to use. We found what we were looking for. Rated 5 out of 5 by melissa74 from Best Purchase for our home we could not be happier with the spa we purchased from ian at la costa pool and spa. this was the perfect fit for our family and we are using it daily. Rated 5 out of 5 by Eric15 from Our Martinique We love our Caldera Martinique. We purchased it in the fall of 2014 and use it close to 5 times a week. I built the back porch of our new home to accommodate a hot tub. The Martinique sits right outside our bedroom door to our porch. Normally, we jump in it after a long walk or a long day. It provides immediate therapy to any physical aches or just helps you slip away from the aches of life. Overall, our entire ownership experience has been wonderful. Rated 5 out of 5 by JBK from My third spa Best one yet it's my third one and first Caldera. Brochure is a little difficult to follow local dealer was not much help. The home office settled issue in a minute. Rated 5 out of 5 by SusieQ from Wonderful Hot Tub This is our second Martinique and we absolutely love it! Rated 5 out of 5 by chipnkids from Martinique rules I can't believe how wonderful this experience has been. Look forward to many long and happy years with our hot tub. Rated 5 out of 5 by Rosie60 from First Time Spa Owners Best thing we have done for ourselves ever!!! I cannot rate on efficiency and value; as we have only owned the spa for 2 months. So far, everything has been perfect!!! Add's 10 years to ones' life. Easy to maintain. Very happy with this purchase. Rated 5 out of 5 by Happy customer from First spa The Martinique Hot Tub has met all our expectations and more. 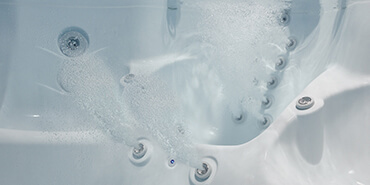 We have been very happy with the ease of care and the comfort for five people that this tub provides. Rated 5 out of 5 by Macadoo from Great Hot Tub Great investment , works well for wife as she is shorter 5'4"
Rated 5 out of 5 by jfhj2 from Just what we wanted We took our time and got what we wanted and it payed off. Nice comfortable tub and very relaxing to move around to get the different jets working different areas. Rated 5 out of 5 by Surg from Serg Please make an easier way of opening and closing the door. The holes don't match where the screws go. Rated 5 out of 5 by Dan1 from Excellent Hot Tub Owned this model for 1 year and have no complaints. Keeping the water and filter clean is very easy. The seating positions provide great massage for the different parts of your body. The diverter valve and different power settings of the jets allow you to have no jets on, partial jets, or all jets for deep massaging. The foot massagers are great. Rated 5 out of 5 by Nike from Comfortable I installed my Spa indoors, behind a garage door. It is very quiet with very little humidity. It is very comfortable and easy to get started. Rated 5 out of 5 by TnT from Bubbling with joy We live in our hot tub! From the moment we took delivery to now we have nothing but great things to say about our hot tub! Rated 5 out of 5 by Bliss from Bliss I have never made such better decision, than to purchase a Martinique Caldera Spa; we are in it year around. Relaxing, and beneficial to the body after a hard days work. We always look forward to the evenings in our Hot tub. Rated 5 out of 5 by Jodie from So Relaxing We love to relax in our spa and it is easy to use and does not take up a lot of space. I liked it since it has a lounge in it. However, since I am petite, I wish it had a seat belt as I float to the top instead of staying on the seat. I also did not realize how expensive the chemicals are to maintain the spa. Rated 5 out of 5 by Ann from Relaxation at its best! I absolutely love my spa! I would recommend it to anyone that enjoys a relaxing soak!! Rated 5 out of 5 by HappyCustomer from The Martinique delivers We are so happy with our Caldera Spa. It has been a great purchase. Every aspect of the spa shows that it will last and was built with care. We would recommend a Caldera product to anyone. Rated 5 out of 5 by Bob from Great Spa We did a lot of research and comparing different spas and manufacturers. 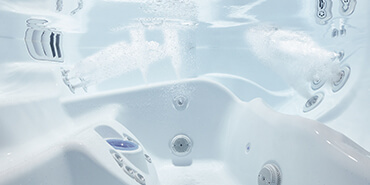 Caldera Spas fit our needs and was the best value. Very pleased with our purchase. Rated 5 out of 5 by markmac from excellent excellent tub for the money , jets are placed just right. my dealer is fantastic! Rated 5 out of 5 by Beestang from Love our Martinique We'e had our Martinique for a year now, and I can't say enough good things about it. 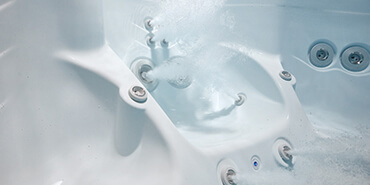 Compared to our previous tub from a different manufacturer, this one is so much more advanced and easier to maintain. We got the optional subwoofer and audio system, which makes the entire tubbing experience that much more enjoyable. Our Martiniqye comfortably accommodates four people, although the bulk of the time it's just my wife and me in it. Each seat offers a different therapeutic experience. Not only does the tub offer great relaxation but it also provides therapeutic value for life's everyday aches and pains. We live in Ohio and winter care for the tub is simple and straightforward. The fiber optic lighting system and waterfall are added amenities. If you are looking for value and quality in a hot tub, I'd recommend you look no further than the Caldera Martinique. You'll be glad you did! Rated 5 out of 5 by DOM from My Caldera Spa What a deal for the price: this spa has the fountain, multiple jet speeds and configurations, colorful lighting and great seating. Still so glad we got it after a full year. Rated 5 out of 5 by Bob79 from Excellent Product & Service We have had our Caldera hot tub for close to a year now and it has performed flawlessly. We had a minor issue with the tub when it was first delivered. Most companies would have repaired on the spot, not Caldera! They replaced the entire hot tub, mainly because they hadn't seen the issue before and wanted to make sure there were no other issues. As far as I'm concerned, this is the only brand I will recommend or purchase again! Rated 5 out of 5 by Big John from Nice Highly satisfied with this caldera spa. Operationally its excellent. No comparison with those spas from the big box stores. My dealer was very professional in all aspects. Rated 5 out of 5 by Melissa from Magnificent Martinique We have now had our Martinique for a year and a half and we love it. This spa is so comfortable, every time we get in it we say "this really is the best thing we've ever bought" For my family in particular we have used it to recover from injuries as well as to help prevent them. My husband gets in it before his early morning surf sessions and I use it more at night after my Pilates or gym session. The cost to have this spa is very affordable, my bill went up approx. $12 a month & we use it almost daily. The water is easy to keep fresh, we use the inline frog system and just stock as needed. Last but not least we purchased from La Costa Pool and Spa in San Marcos,CA great service, very helpful. We highly recommend buying from them. Rated 5 out of 5 by spaboy from Relief We have had the spa for just about a year. I have suffered from lower back pain for years. Water therapy has been the best thing for it. I feel good. The only down side is that my wife has developed a sensitivity to Bromine, but we are going to visit the place where we bought it to see what we can change over to. All in all though we love it. Use it all year long. Winter is our favorite time. Rated 5 out of 5 by Jen from Love my Spa! Super comfortable and relaxing spa. I have RA and it help to sooth my joints. Rated 5 out of 5 by Sergio from Love my Caldea It raplaved a 30 yr old gas fired one with just bench seating a a few jets and a single light. It was also a gas hog using a 325btu heater that really spun the gas meter. The Caldera addresses all these issues. Ready to use 23/7, comfortable loungers, easy maintenance and low energy use. Rated 5 out of 5 by Sergio from My pick after extensive hunting Very comfortable, efficient with easy maintenance, Replaced 30 yr old gas fired spa. Love the convenience of the new spa always ready for use. Rated 5 out of 5 by Gary 71 from Best Hot Tub made! This is my second Caldera spa in 16 years. The quality and dependability are outstanding. And, the warranty is excellent! Rated 5 out of 5 by daydreamar from Amazing spa This is the most amazing spa!! It has everything you could ever wish for. The placement of the jets are perfect and the lighting is soothing not to mention the waterfall! And the best sound system I own!! I would recommend it to everyone !! Rated 5 out of 5 by guesthof from the best we bought this one almost 11 years ago and still loving it. when the pumps is going it is like beein in a massagetime and gives you alot of realxation and you sleep like a baby the hole night. Rated 5 out of 5 by JB from Great purcchase. I was new to hot tubs before buying the Martinique. I made the purchase and have no regrets. There are only a handful of products I truly enjoy without having any second regrets with regards to the purchase. I love my car and boats but they don't qualify. So far to date I can only give accolades to my new Martinique Spa Tub, my leave vacuum (Cyclone Rake) and my dog. If you buy this tub DEFINITELY buy it with the sound system. It takes the tubbing to an entirely new level. Rated 5 out of 5 by 2nd Hot Tub from Martinique Review We have had the hot tub for about 6 months and find it to be a wonderful spa. I have noticed lower energy bills since we replaced our previous hot tub. The fit of the tub is also much better for the two of us (one is 5'3" the other is 6'1"). The sales staff at the local shop is what sold us on the Caldera spa, but the ease of maintenance and enjoyment of thehot tub is what will have us back in the future. Rated 5 out of 5 by Chris from Big Relief We purchased our spa about two weeks ago and love it. We use it just about every day. The relief of back pain is just about gone. We have the lounge seat and I love it. Very relaxing. We are still getting use to adjusting the chemical levels, but it has not been that difficult. Rated 5 out of 5 by 3boysmom from Relaxation at its Finest Absolutely have been pleased with our hot tub. There are not many nights that we don't take a relaxing soak. It has been smell worth the money. My husband is a diabetic with Peripheral Neuropathy, and the hot tub gives him relief and helps his circulation. Best investment we've ever made!!! Rated 5 out of 5 by Jill and Dave from Great Spa and Service We love our spa, it wasn't on our radar until we saw it and got a great overview from Tanya, our super friendly and knowledgeable sales person. Superior Plumbing and Spas delivered it and have provided our chemicals since. 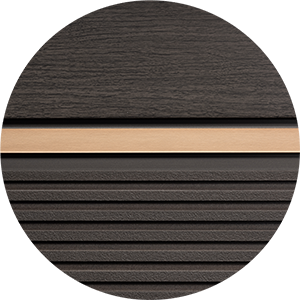 We had a brief issue with a crack in the side panel from delivery, which took a bit of time to get replaced, but didn't impact our use and we are very happy with it and the available service and chemicals. Our only comment on the spa itself is it seems the little chrome caps on the small jets come off frequently. They snap back on but seems like some sort of design or manufacturing issue. Rated 5 out of 5 by Happy! from Love it!!! We use it everyday...with the kids, my boyfriend and I, or on our own. It's great year-round and I feel very fortunate to have it. Rated 5 out of 5 by Maty from Amazing Value!!! This Hot tub has changed my life in every way. After a stressful day at work or a long day on the mountain this tub has become a huge part of my life!! Looked at many different brands and models and the Martinique checked all the boxes!!! Rated 5 out of 5 by 777Franc from Wish we got this years ago So many life enhancing qualities. First thing in the morning it revitalizes. After exercise it loosens muscles and rejuvenates. Before bed it relaxes. After a swim it feels great. Anytime really is an excuse to soak and recharge mind and body. Great place for the whole family to gather and actually communicate without smart phones. We love it! The lighting features, water fall and cleverly placed jets create a very pleasant experience. I am a long haul airline pilot. My flights are 12 to 15 hours across the Pacific Ocean. When I return home from long trips, this is my idea of relaxation therapy and solitude. Cleaning and maintenance are proving to be very easy. We cannot recommend this product as an essential addition to a healthy lifestyle. Great product! Rated 5 out of 5 by Valerie from Question on Jet Hi, we love our spa so far but noticed that one of the jets will either go high or off, the low selection isn't there, is this normal? Rated 5 out of 5 by Michael from Endless Utopia This Spa is the pinnacle of all. We love it! This is our first Spa and we never regreted our purchase! We enjoy the ability to destress and have fun with fridnds and family. Rated 5 out of 5 by Marti73 from Martinique-Excellent Tub Although we have only had our tub a couple of weeks, we are thoroughly enthused with it. It is very relaxing and everything we were hoping for. The lounge chair is terrific and the two corner seats are deep and really get you into the tub. We are very happy we decided to go with this tub. Rated 5 out of 5 by Rick from Best hot tub ! Great spa,great service , use it every day ! I recommend the dealer in Reno totally . Rated 5 out of 5 by AJ24 from Martinique is a great spa We've had our spa for about a month now. Absolutely love the thing. Use it twice a day. Especially with these cold mornings. I really like how comfortable it is. Rated 5 out of 5 by Wench from "The BESTEST Christmas present, EVER!" I purchased my Martinique SPA back in 2005, as a Christmas gift for my husband. I must say, it was a hit. His words EXACTLY, "this is the BESTEST Christmas present EVER!!". I am now a widow, as he has passed away, but I still LOVE our spa. It started life with us in Temecula, California and transited with us after his retirement to Fort Sumner, New Mexico where I can see the Milky Way from anywhere on my property.... particularly beautiful is the view while soaking in my LOVELY CALDERA SPA. Rated 5 out of 5 by JodieDave722 from So far Loving our spa so far. Been using it for 3 days and we are in heaven. Beautiful and easy to use. Still working out the water chemistry part of it but sure that will come with time. Rated 5 out of 5 by chukar10 from Best So Far This is the fourth spa we have purchased. The layout is well placed. Lots of options based on where you sit . Lounge is great. Rated 5 out of 5 by Frank from Awesome We bought this hot tub to help with my husbands back pain. It was the best investment we have ever made. This hot tub is amazing. It has so many jets and seating is great. We would highly recommend this spa for anyone looking for a great unit. We use nightly and it is so easy to take care of with the frog system, it came with our steps and cover and we added a lift for the cover which is great as one person can lift cover off of tub with no problems. It is AWESOME !!! Rated 5 out of 5 by Mich57 from Caldera Spa This is our second Caldera Spa and we love it! Our new spa has so many wonderful features! I would highly recommend any caldera spa! Rated 5 out of 5 by Kristie from Great Purchase My husband and I just purchase our spa a few days ago and we absolutely love it! It looks great on our patio and fits the space perfectly! We are sleeping better at night too! Rated 5 out of 5 by MAL from Great Purchase We love our Hot Tub. Easy to set up and maintain and so relaxing. Rated 5 out of 5 by BGT from Love my Martinique Wow, how wonderful can it be? Nothing like relaxing after a long day and feeling so good. Really, it is like that. Minimal maintenance and a pleasure to have. Thanks, Caldera. Rated 5 out of 5 by Happy Camper from I really do love my spa! The Caldera Martinique has been a wonderful addition to our home. Since accepting delivery about 2 months ago, the spa has been a near daily source of enjoyment and relaxation for myself and my family. It is a high quality product all around. PS - After a day filled with chores, my daughter and I are looking forward to an afternoon soak and an audio book on the terrific Bluetooth system. Keep up the good work! Rated 5 out of 5 by Tomac from Awesome Hot Tub We have had our Caldera Hot Tub for almost two years and it has been so great!!! This hot tub is the best quality we had found and we looked at them all. The Frog system made it a final choice and it takes all of the hassle out of water chemistry, very easy to use and allows you to enjoy the hot tub more without trying to figure out what to add and how much. Great tub we are very pleased. Rated 5 out of 5 by KRF-SD from Wonderful purchase! We had wonderful service in selecting, finding value, delivery and follow-up service. The hot tub was one of the best purchsses I have ever made! I would definitely suggest this line of hot tub. It's also been very easy to maintain! Rated 5 out of 5 by Teachers+1 from Awesome spa! I have now owned my spa for 1 year. It gets used 4 to 6 times per week. At this point I have yet to get in the hot tub and regretted it! Every time it is relaxing, stress relieving, and helps with the aches and pains of the late 40's body! We love it! No regrets with the purchase. Rated 5 out of 5 by Ron from Caldera, best investment for relaxing Just get in the Caldera spa and relax, let the Caldera spa do it's job. Forget about day to day stress, feel the flow of the Jets and the hot water relaxing you. The spa can be used all year round, winter, summer or fall. Rated 5 out of 5 by Lounjin from Best I've been in a lot of hot tubs. This one is the best for the price there is. Rated 5 out of 5 by Willimnot from Simple to maintain and relaxing Purchased from the same dealer who installed our gunite pool a few years ago. Had cold feet several times as the up keep and pains people shared about their hot tubs made us keep putting off the purchase. Finally ordered just before the July 4th weekend. Had it installed two weeks later. Our pool is salt water and I dreaded the water tests the first few times. I kept expecting to have green water or numbers way out of line. So far the chemicals are simple and my biggest issue is getting my kids and neighbors out of it. Caldera has made us immensely happy with our purchase and I would recommend them to anyone. Rated 5 out of 5 by Mindabear from Best investment Ive made in years! I love my Caldera hot tub. Being a sufferer of arthritis and dealing with daily pain, my hot tub is my "go to". It provides relief I have been unable to find with doctors, medicine and traditional practices. Rated 5 out of 5 by Brian48178 from Better than my hot springs The Martinique was a replacement for a hot springs tub we had. We did not know how wonderful this tub was in comparison to the hot springs. The seating works for my wife and I even though she is about 10 inches shorter, that was not the case in the previous tub. The ease of water care is a great factor. We never realized the old tub was causing sinus problems due to the chemicals. No issues like that in the Martinique. Best part for us was the low pressure sales staff. Rated 5 out of 5 by Sari from Therapy We have our Spa over a year now and we are totally happy with our investment. Our Spa has helped us with our aches and pains. I have saved so much by doing our own therapy at home. It has also enriched our family time. We are very happy with our purchase. Rated 5 out of 5 by Sissy from Loving it! We enjoy our hot tub almost daily. It has been very easy to maintain and is very comfortable. Rated 5 out of 5 by Ranger Rick from First spa I researched many spa companies before I decided on Caldera spas. They had the best warranty, excellent reviews. Rated 5 out of 5 by G from Relax at home! Very quiet unit with easy to access individual controls. Only had it a week, but wish we'd purchased one years ago. Rated 5 out of 5 by Karen53 from TOTAL COMFORT AND WELLNESS I suffer from chronic back pain, and truthfully, since using this hot tub every evening for 20 minutes, i do not need the chiropractor or pain meds nearly as much. It is so relaxing, and the jets are positioned to hit all the spots that need to be massaged. This is WELL worth the investment. We highly recommend it. Rated 5 out of 5 by John Homer from Cadillac of spas! I have nothing negative to say about this hot tub. From the warranty, build quality, fit and finish, jet placement and flexibility, quiet operation and support, this is the best hot tub you can buy! Rated 5 out of 5 by ellythia1 from So Relaxing!! We love our CalderaSpas tub! We originally purchased it for my husband mostly because his job is rough on his body and as we age, it seems like it's getting harder and harder on his joints. We get into this tub and it's like getting into a warm hug... it wraps your body in warmth and comfort and the jets work on knots in your muscles until you are butter! We use it almost every day and the water maintenance is minimal work, which is ideal. Another plus for us is the bluetooth speakers that we had added to the tub... we love to listen to relaxing music while we soak, making it even more enjoyable for us! Thank you for making a quality tub~! Rated 5 out of 5 by a from Overall Very Nice A couple of minor quibbles but overall seems well designed and built. As some reviews have noted, the in-line bromine cartridge doesn't provide sufficient level of chemical, even after three weeks wide open. Had to go to a floater to get the level up but have had no other issues. Rated 5 out of 5 by Jmhale77 from A Little Piece of Heaven What a pleasurable experience, from entering the showroom to today's soak 6 weeks later. The jets are powerful, plentiful, and perfectly variable. The lighting is attractive and the water sparkles. Deeper seats and higher options are a plus for cooling down or submerging, and the lounge is perfectly designed for comfort. There isn't a place around the tub that ISN'T comfortable to relax in, and the controls are easy to operate. I cannot find anything I dislike about the Caldera Spa process, and the knowledge and personalized service from the salesperson made it ideal. Rated 5 out of 5 by katmow from Been waiting years for hot tub experience We've had our Martinique hot tub for over two weeks and have been in it at least once a day. We debated about getting a smaller model, but so glad we went with the Martinique! It's has such a variety of jets and we've really enjoyed the therapy it provides our tired aging bodies. No regrets so far!